My Favorite 5 New Testament Archaeology Discoveries in Recent Years! – Open Our Eyes, Lord! #4. The Magdala Synagogue. We remember Magdala principally because it gave Mary her nickname, Mary Magdalene, meaning “Mary from Magdala.” Since Miriam/Mary was by far the most popular Jewish name for girls, and since there are up to eight Mary’s in the gospels, it is no mystery why they distinguished one from another in some way! The town of Magdala is on the western shore of Galilee. 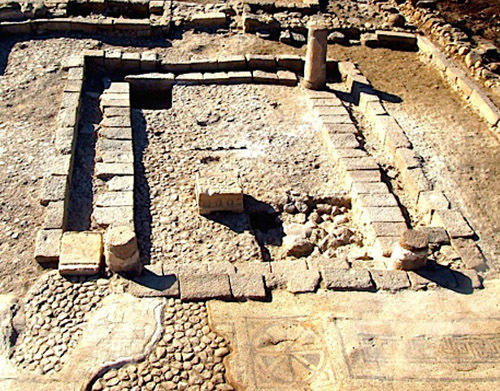 It has been excavated for several years, and the most amazing find has been the synagogue from the 1st century. [iv] This is amazing, since only a handful of unearthed synagogues are that old; it is contemporary with Jesus, and given what we know from the gospels, it would be almost certain that Jesus preached there. This headline, like too many others, reveals a basic misunderstanding of what archaeology can and cannot do. None of the things mentioned in my little article here “proved that Jesus existed” or disprove the atheists. They support the Bible’s claim for his existence, they supply background for his story, they strengthen the case for the historical accuracy of the New Testament, and they erode the über-skeptical viewpoint popularized by some scholars – but they do not prove his existence as such. Nor do they prove the gospel, or the Bible. Likewise, if people one day discover Pharaoh’s chariots under the waters of the Red Sea, this will back up the Bible account, but not prove conclusively that Jehovah redeemed Israel from Egypt. What does John 5 teach? That Jesus healed a lame man at such-and-such a place, and by the way, the place looked like this. The archaeological evidence states that the place existed, in the location John 5 says and that it looked as John describes it. One might be drawn to say that, if John got it right about the building, then he must have gotten it right about what Jesus did in it. But the archaeologists by the nature of their evidence cannot prove that Jesus was ever there or that he did that miracle; it is not their job! It would be the same mistake as saying “Einstein proved by physics that vanilla ice cream is better than chocolate” – it simply lies outside the range of that discipline. 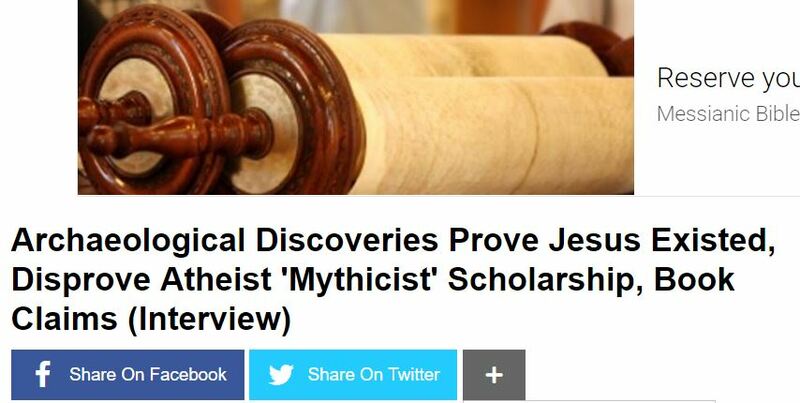 A better headline would summarize the article this way: “New Evidence Backs Up the Bible Account of Jesus, Casts Great Doubt on the Extreme Skepticism of Some Scholars.” More accurate, but not as gripping, and Christian Post has to sell ad space! Archaeology is a science, that is, people dedicate their lives to it; and like any science, its experts sometimes differ in how to interpret the data; the date of the destruction of Jericho has been debated, also the chronology of the Egyptian ruins. This is normal and part of any scholarly discipline. Now back to real, verifiable finds, which archaeologists invite others to examine and analyze. #3. The (just-possible) Childhood Home of Jesus in Nazareth. 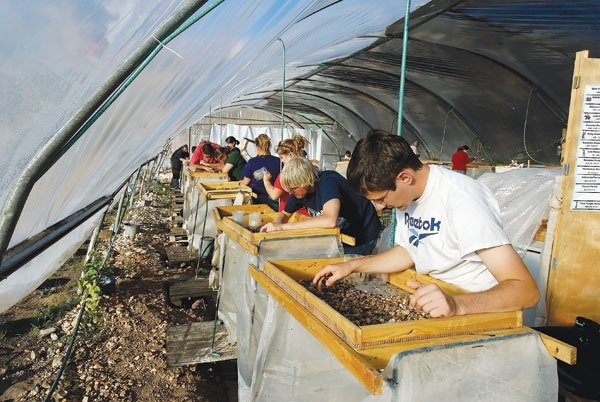 In 2015 it was announced that a house in Nazareth had been excavated. Some headlines announced that it was the house where Jesus grew up, but that is not possible to know. What we do know is that the whole town only had a few hundred inhabitants, and that the house dates from the first century, that is, Jesus must have been familiar with the building. And we know that local Christians have regarded this as his home for at least 1500 years. Here it helps to know how old Christian churches evolved. There are many churches – St Peter’s in Rome, most famously, but also the ruins of the Basilica of St John in Ephesus – that are supposedly built over the tomb of some famous person or the site of some important event. For example, the Church built over the house of Peter in Capernaum, is probably the house mentioned in the gospels. The Papal Basilica of Saint Peter in the Vatican was constructed in the 16th and 17th centuries. But it was built on the site of the Old Saint Peter’s Basilica, which was erected in the early 4th century and was falling into ruins in the 15th. For its part, the Old Basilica was built over what Constantine was sure was the location of Peter’s tomb. 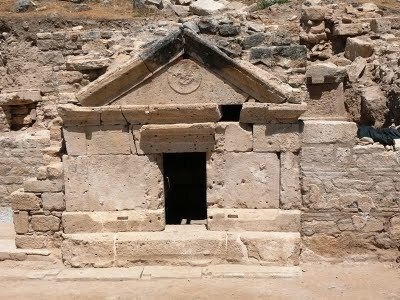 Beyond that date we cannot peer, but we do know that there are early Christian tombs under the church. So, starting from the top and working downward, they sometimes find: a newer church; an older church; a monument; a building that early on was thought to be the authentic location of some event. This is what we have in Nazareth, a home that for many centuries was venerated as the home of Jesus, although that is unverifiable today. It is interesting in that it reveals a typical home of his day, arranged around a central courtyard, and with an exit that led on to the street. It is simple, but would have been comfortable. #2. 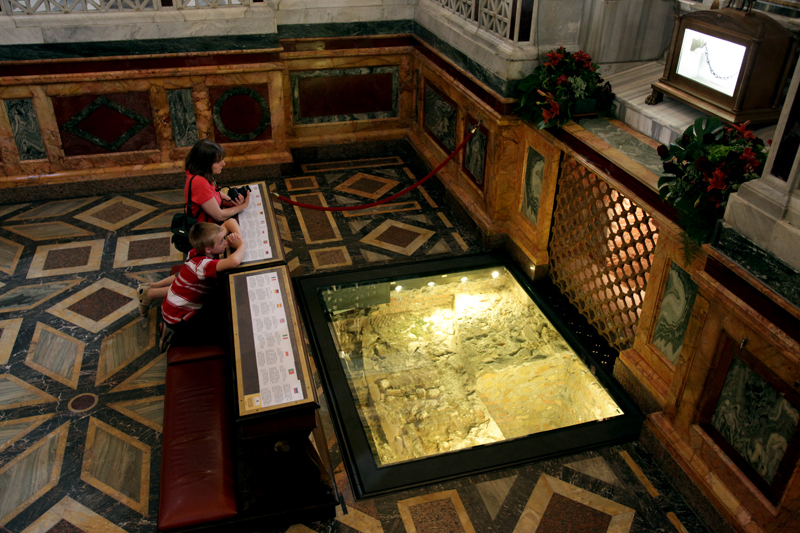 The Tomb of Saint Philip and the Tomb of Saint Paul. The tomb of Philip is very likely to be a genuine identification. 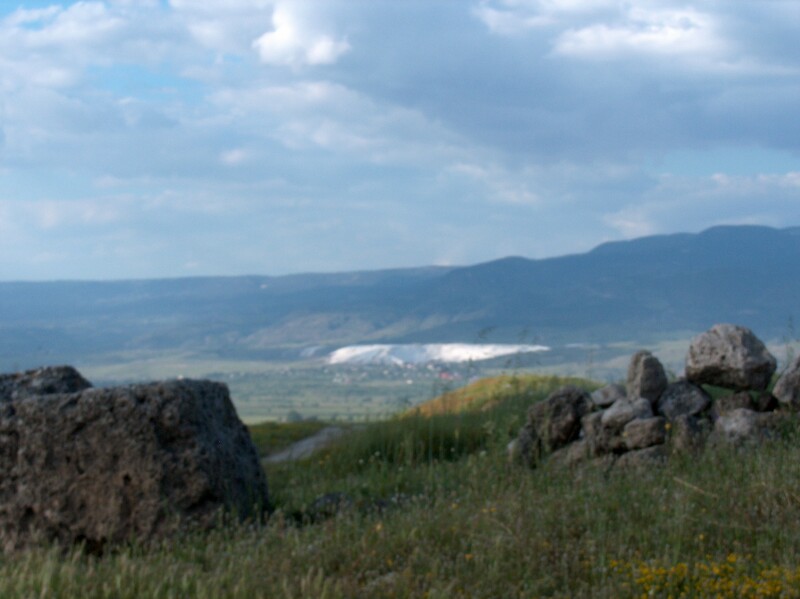 From earliest days of the church there was a Christian presence in three neighboring towns in Asia Minor: you can stand on the hill of Laodicea and see Hieropolis (modern Pamukkale) to the north, and Colossae to the east. Eusebius is possibly confusing two men, or perhaps he knew something we do not. At any rate, there is ancient tradition that states that in Hieropolis there were two buildings – a Martyrium, that is, a church built to commemorate the site of Philip’s martyrdom; and another church close by, built over the actual tomb of Philip. This was long thought to be legendary, but an Italian scholar Francesco D’Andria believed the tradition and dug where it suggested the tomb would be. In fact, he found a first-century tomb that is exactly as tradition described it. The tomb church and the Martyrium were build in the 4th or 5th centuries. The tomb is empty, which was more or less expected, because history said that the bones had been removed to Constantinople. This is I think certainly the tomb of one of the biblical Philips, but which of the two is hard to say; I think it is Philip the Deacon. Either way, here is extraordinary physical evidence from the first century of one of the most prominent early Christians. The first-century tomb of Philip. Now we go to Rome. For almost 2000 years, the continuous tradition has been that Paul was beheaded in Rome by the Emperor Nero, that his head is buried in St John Lateran there, and that his body was buried in a tomb under the Basilica of St Paul Without the Walls (an odd-sounding name, but it means that it lay outside the walls of the ancient city; today it is part of Italy, not the Vatican State. Constantine built the first church on top of the site of his traditional tomb, and then others were built on top of the same site. In 2005 experts opened the tomb for the first time and found human bones. 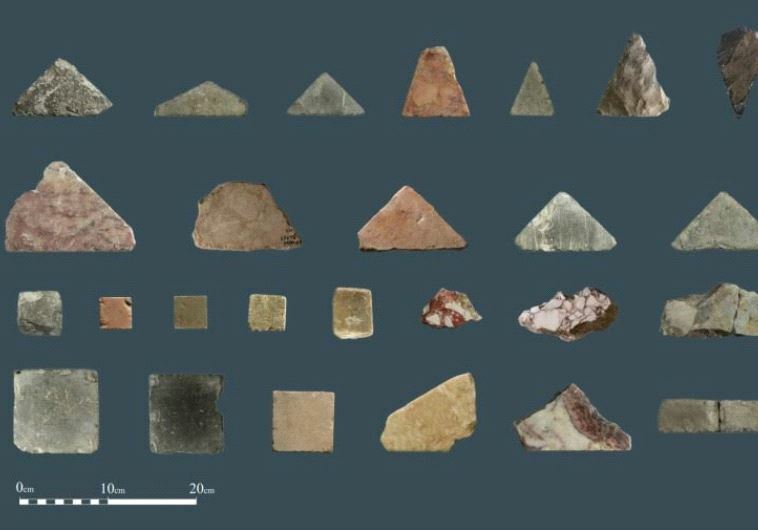 Carbon 14 tests confirm that they are from the second or first century AD. The pope has announced that it is the body of Paul, although that is not possible to prove conclusively. 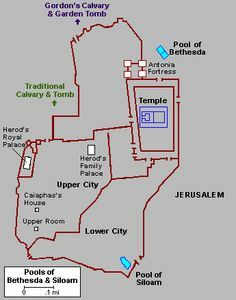 Since we are thinking of tombs, let’s mention the claim that they found the Family Tomb of Jesus in Jerusalem. The Talpoit Tomb had ossuaries that had names such as Jesus son of Joseph (maybe, the inscription is very unclear), Jose, Mary, Matthew, Judas, and so must have been where Jesus was really buried; in that case his body lay in a family tomb, and he was not raised from the dead. It is broadly believed, by believers and non-believers, that the theory is worthless, given that the family did not live in Jerusalem and did not have the wealth needed to buy such a tomb, and given that all these names were among the most popular of the day. [ix] The Church of the Holy Sepulcher was identified as the place Jesus was buried, as early as the 4th century; it is empty, but this helps to illustrate the gospels, but does not – and by definition cannot – prove that Jesus rose from the dead. #1. Floor Tiles from the Temple of Herod. I award the blue ribbon to a find that has extraordinary significance to Jews as well as to Christians. 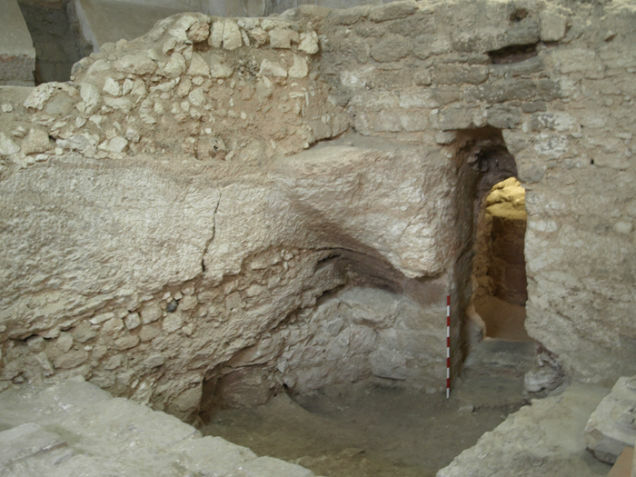 For the first time ever, experts have found remnants of the Temple of Herod, usually known as the Second Temple. (By the way, the Wailing Wall is a retaining wall, designed by Herod to shore up the enlarged temple platform, and is not considered part of the temple itself). The temple was destroyed in AD 70, and is now the site of one of the holiest Muslim sites, the Dome of the Rock along with the Al Akbar Mosque. For that reason, there is a political element in this story. In an act of vandalism, the Palestinians removed tons and tons of detritus from the site and simply dumped it outside the ancient city. This was a breathtaking and illegal move, since in historical areas it is vital to locate the remains in situ, that is, where they have remained since antiquity. Their reward was the discovery of the first pieces of the Second Temple ever discovered. These are stone tiles, multicolored pieces that were imported from all over the empire, and arranged in geometrical designs in the open temple courtyards. The floor must have cost Herod a fortune to install. 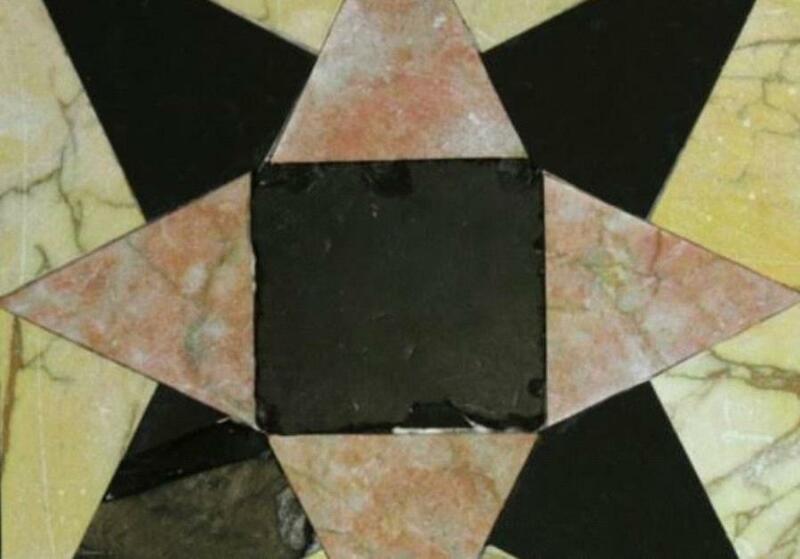 The materials that were found matched what the rabbis and Josephus had said about its floor. 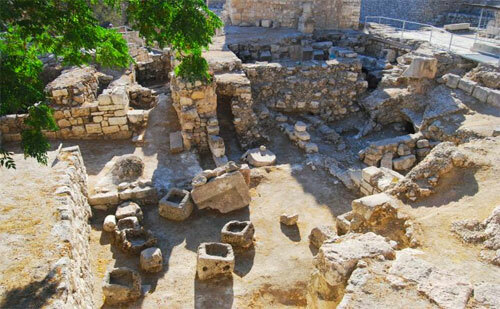 There is now convincing evidence for the Second Temple in its traditional location, and for the building where the Savior walked and talked and the early church met in Solomon’s Porch. Conclusion. The discipline of archaeology: it cannot do everything, but it can do some things. So far: no Noah’s ark – and there have been so many false claims and disappointments that I hold out little hope. There is no ark of the covenant yet, although it is possible; no graffito that for example says that “this morning a man called Jesus sent thousands of demons into my herd of pigs.” Archaeology cannot prove that Jesus was the Son of God our Savior; it can prove that those who wrote the gospels wrote in the first century, and knew random and trivial facts about cities and buildings that suggest that their testimony is reliable. It cannot prove the NT true, but through ancient manuscripts it can show that the NT was written mere decades after Pentecost, and that its text has been extraordinarily well preserved. It cannot prove the message of the apostles, but it can prove that they were real men who lived, and traveled to far places, and died for their message. [i] For other, older findings, one must can download a whole book here (http://c795631.r31.cf2.rackcdn.com/ten_top_biblical_archaeology_discoveries.pdf). My picks of earlier finds would include the apostle Peter’s home in Capernaum, which after Pentecost was converted to a church (http://www.christiananswers.net/dictionary/capernaum.html); the skeleton of Jehohanan, a man crucified in Jerusalem in the first century (https://en.wikipedia.org/wiki/Jehohanan); the “Jesus Boat” (http://guardianlv.com/2014/04/museum-on-sea-of-galilee-displays-jesus-boat/); the Caiaphas Ossuary, definitely the bone depository of the High Priest Caiaphas (http://www.reclaimingthemind.org/blog/2010/07/top-ten-biblical-discoveries-in-archaeology-%E2%80%93-8-caiaphas-ossuary/); the James Ossuary (http://www.christianitytoday.com/ct/2012/juneweb-only/james-ossuary-verdict.html); the Pool of Siloam from John 9 has been definitely identified (http://articles.latimes.com/2005/aug/09/science/sci-siloam9); the Cave of the Seventy in Jordan (http://www.dailymail.co.uk/news/article-1025558/Is-Christianitys-FIRST-church-Cave-70-beloved-God-worshipped-Christ-alive-found.html) is possibly where the 70 disciples of Jesus found in Luke 10. The final chapters have not been written on the authenticity of the James Ossuary or the Cave of the Seventy; I lean toward believing that they are genuine, but the evidence is mixed.